An inquiry lands in your box, you're quick to reply with pricing but a few days go by and... crickets. We hate to break it to you, but a sending a list of prices in an email or a one page PDF may actually be keeping you from booking weddings. When a couple inquires with us, we send them a detailed pricing guide that introduces them to us, walks them through our process, shares testimonials, examples of our work, album details and more. Our guide tells our couples that working with us is so much more than hiring two photographers to show up on your day - and not only has it allowed us to charge more, it has helped us find couples who love working with us. Because our pricing guide answers so many questions before we even meet with a couple, we don't have to work so hard to sell ourselves at meetings. We've also found that not everyone who visits our website is the one who ultimately pays for our services - which means that even if we have the best website, the parents of the couple might not understand why we cost what we do. This guide helps everyone involved in the planning process understand what it looks like to work with us. • A 13-minute InDesign video lesson walking you through exactly how to use the file. We'll cover changing fonts, colors, images, text, why we added certain elements, formatting and exporting your file. 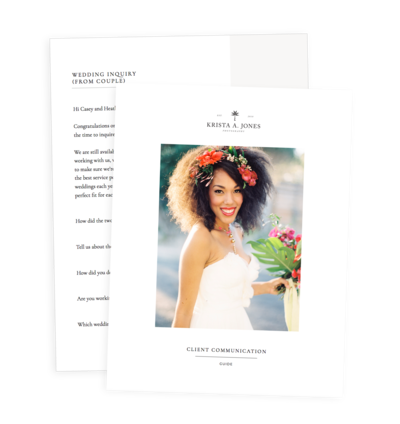 BONUS: Although the 16 page guide is ready to print, we'll also send along our one page printable pricing template in case you need something more simple for an in-person meeting. That's a $25 template for free! Photographers. But planners and others in the wedding industry may find it helpful, too. 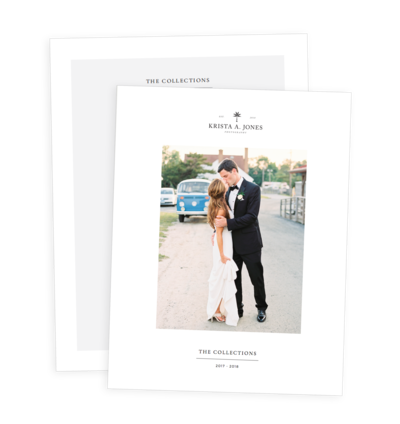 Get the 16 page InDesign file + the 1 page printable version (a $104 total value) for just $79. "this really helped me take my business to the next level"
I would just like to say it was really easy to work with it as a template and then customize it to my brand. 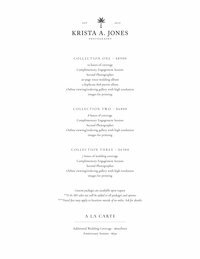 I am beyond grateful for Krista and Davey putting these resources out there, because I am not a branding expert. I'm significantly raising my prices this year, and so this really helped me take my business to the next level. THANK YOU! 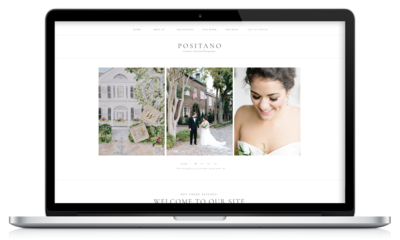 "It's beautiful and easy to customize, and I had my entire guide created in just a few hours." I absolutely LOVED the pricing guide! 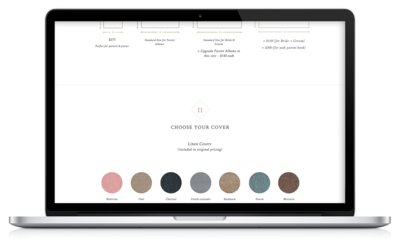 It's beautiful and easy to customize, and I had my entire guide created in just a few hours. I had been putting off raising my prices simply because I was intimidated to make a new guide from scratch that looked high-end and seamless, and the pricing guide was the perfect answer. It's so worth it!! !